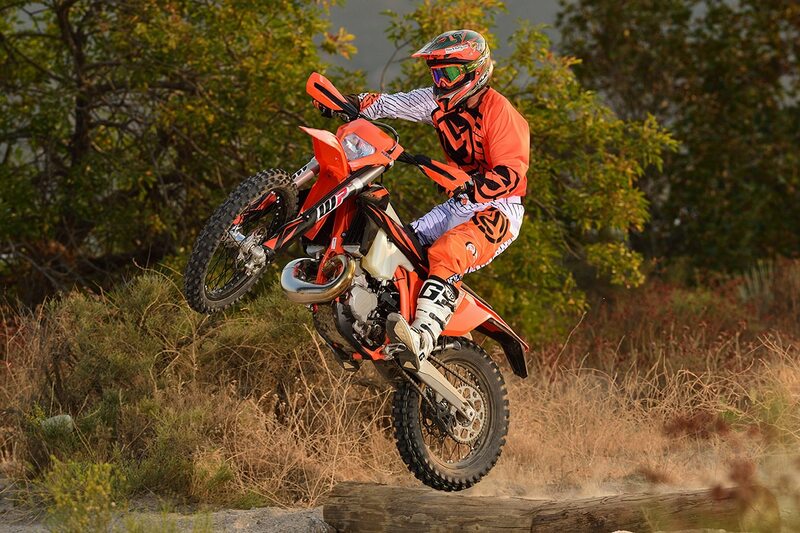 We got our 2019 KTM 300XC-W TPI two-stroke test bike this week and it’s been fun getting to know the bike. Even though this is a new model for the U.S. market, we already have a little time on it from last year. When KTM had a world press introduction to the new TPI two-strokes, Mark Tilley got to ride the 250 that was destined for America as well as the Euro-only 300. I got my turn a month later when I rode the Husqvarna TE300i in Canada. The technology has apparently come a long way in the last year. 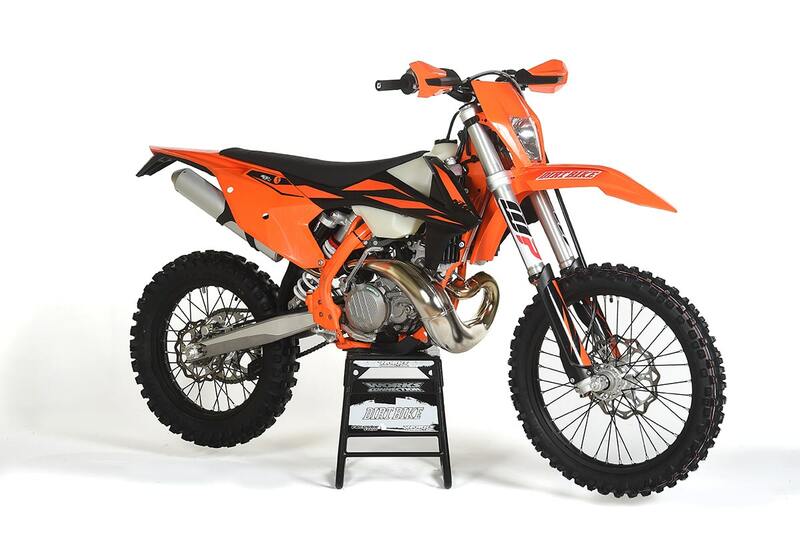 The KTM 300XC-W will not be available with a carburetor in 2019–only with TPI. 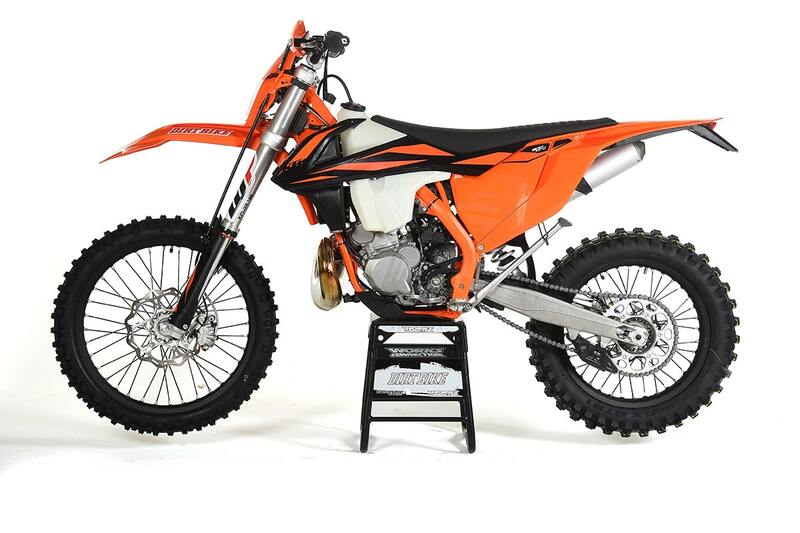 Of course, we’re very familiar with the KTM 250XC-W TPI. We had that bike as well as the non fuel-injected version for almost a full year. The two bikes were almost identical in any objective horsepower contest, but they had a very different feel. The fuel-injected bike was smoother and felt slower. The carbureted bike had a little more of a hit. The fuel injected bike ran much better at high altitude and it also got much better fuel economy. Its biggest disadvantage was an occasional glitch. If you over revved it and then put the engine under a big load, it had a brief hesitation. A mid season CPU update made this issue less severe, but didn’t cure it. The TPI bike was also heavier by 6 pounds. In 2019, there will be no more 300XC-W or 250XC-W; only the TPI bikes. 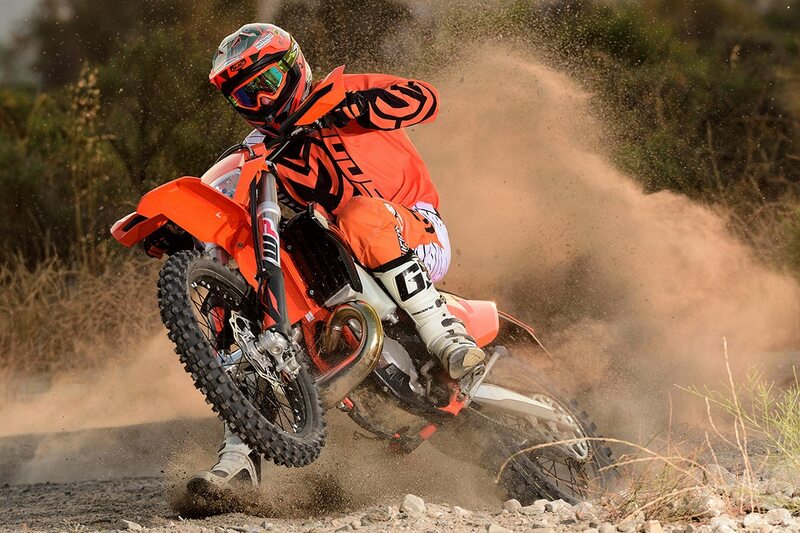 If you really don’t like the ideal of a fuel-injected two-stroke, KTM still has the 250XC and the 300XC. Those have the carbureted motors in a more competition-oriented chassis with linkage rear suspension. If you want the PDS rear suspension on a 250 or 300, you no longer have a choice. The XC-W line still comes with PDS no-link rear suspension. To state the obvious, the new 300 is a much more powerful bike than the 250. There was a sleepy feeling that made most riders think that the 250 was slower than it was. In the case of the 300, you know it’s fast. It has a very sharp hit down low that can sometimes catch you by surprise. 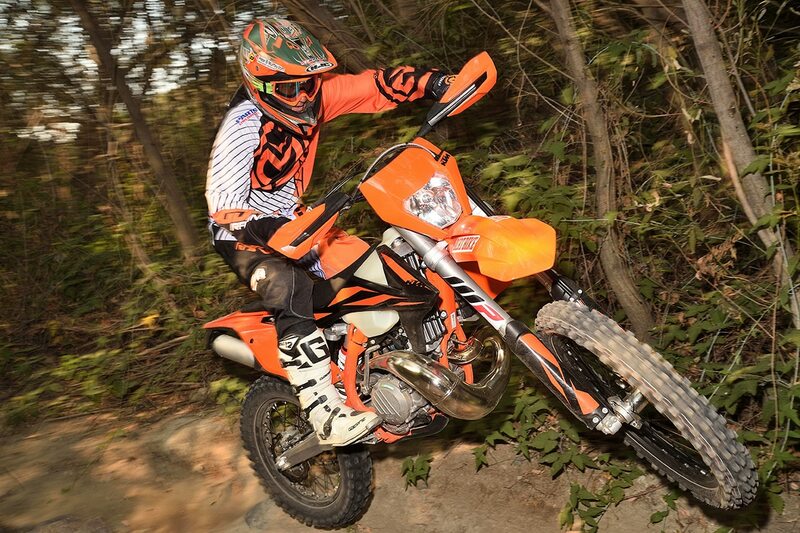 In every other way,it’s a classic KTM 300, which means it’s an awesome off-road bike. This year the WP Xplor 48 fork is stiffer, which is a very good thing. Last year we felt the Xplor 48 was too soft on every model. Is the glitch gone? For the most part, yes. It still occasionally shows up, but now it’s more of a brief hiccup than a real hesitation. That isn’t to say that the EFI mapping is perfect. It bike has a little detonation down low and seems rich on top. That’s exactly how a carbureted 300 feels, so maybe it’s just the nature of the motor. This bike is going into the care of Tom Webb,who has been chomping at the bit to ride it. He has a long list of parts and mods that he wants to try, so stay tuned. 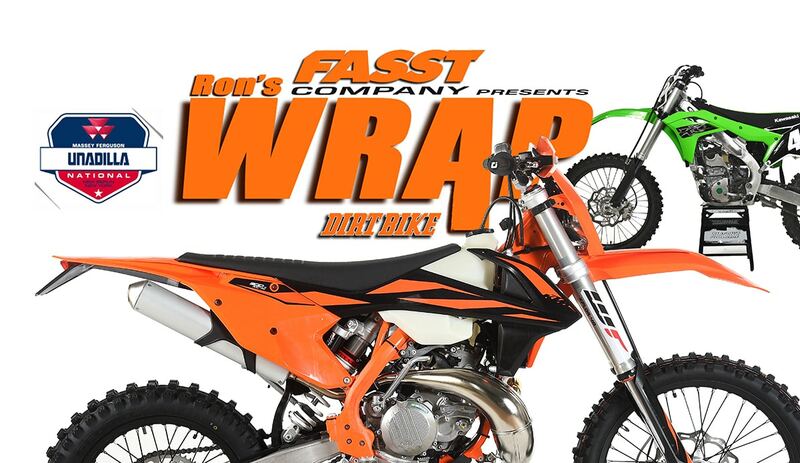 The full test will appear in the November, 2018 print issue of Dirt Bike. 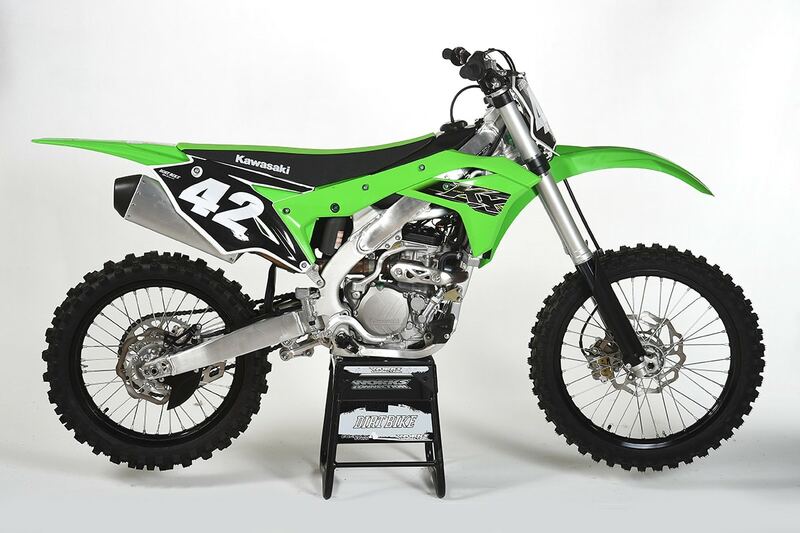 Another bike that just entered the Dirt Bike garage is the 2019 Kawasaki KX250F. This bike is now the grandfather of the 250 class, with Suzuki replacing the aged RM-Z250 for 2019. We still love the Kawie. 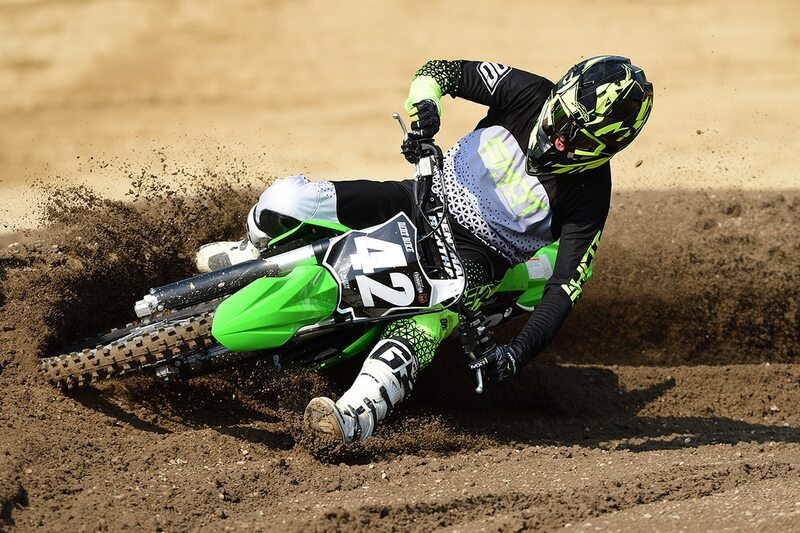 The KX is the torque king of the 250s. It also has a little mid-range hit that makes it fun to ride at any level. As you might suspect, it suffers in peak horsepower compared to the KTM, Husky, Honda and now the Yamaha. We don’t know how it will compare to the new Suzuki yet, because that bike won’t show up until December. Our full 250F shootout will be late this year, but with everything aside from the Suzuki will been seen as individual tests in Dirt Bike. The Kawasaki is next up. 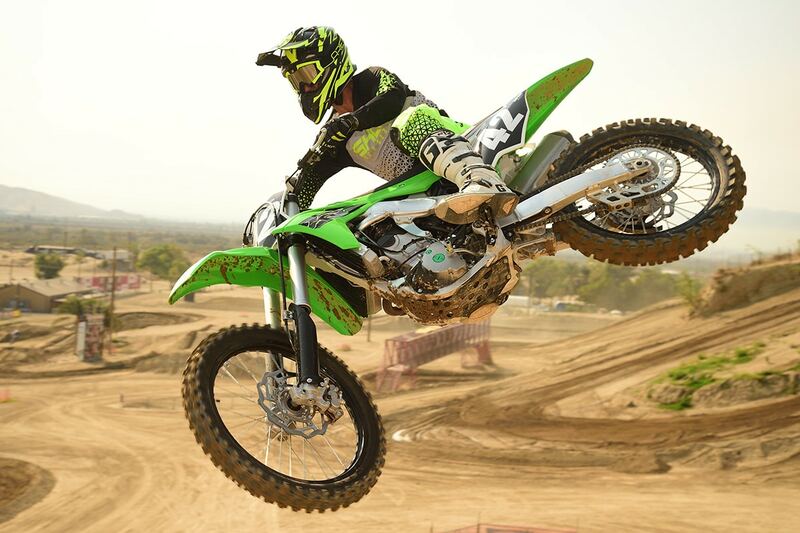 The KX250F still has a kickstarter–for now. 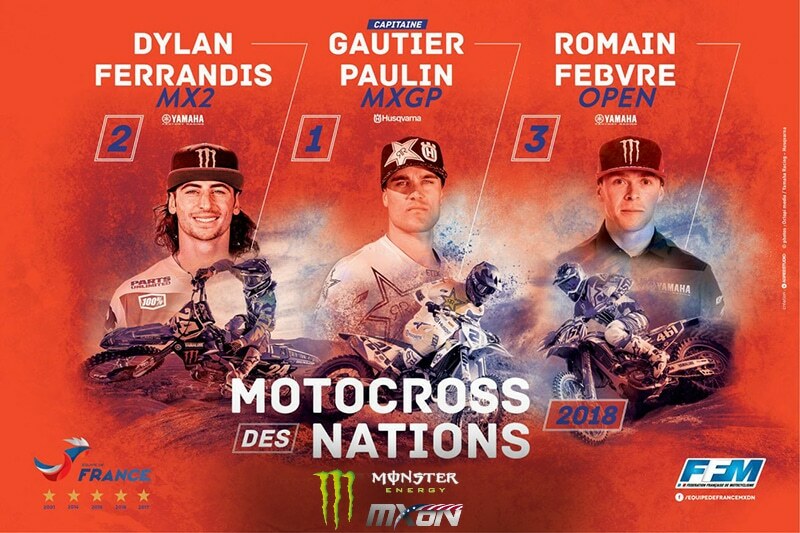 The team announced by the French Federation of Motorcycling (FFM) will be again led by Rockstar Energy Husqvarna Factory Racing’s Gautier Paulin in MXGP with Yamalube/Star Racing Yamaha’s Dylan Ferrandis riding MX2 and Monster Energy Yamaha Factory MXGP’s Romain Febvre rounding out the squad in the Open class. The group will be managed by Pascal Finot and have MXoN veteran, Paulin, as the team captain. The 2018 Monster Energy FIM Motocross of Nations will be held the 6th and 7th of October at the famous American circuit of RedBud. If you’re planning on going to RedBud, click here for more info.